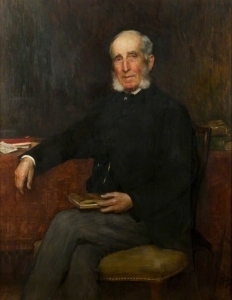 Alexander Jefferson Buist long held a leading place in the commercial and philanthropic face of public life in Dundee. During his 53 years as proprietor of Ward Works, he established a rapport with his workforce, receiving from them an illustrated scroll. 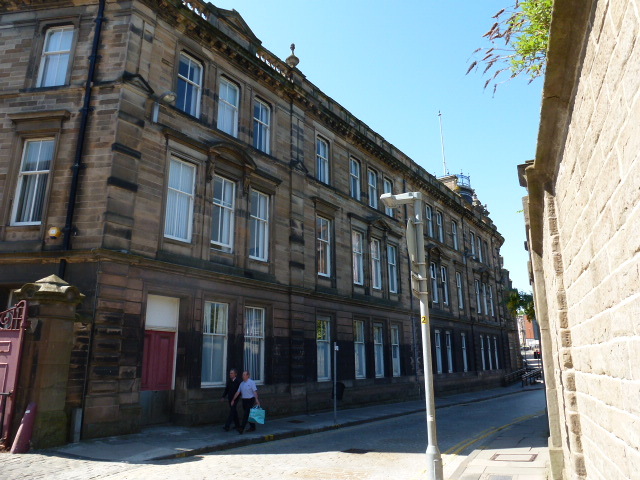 Alexander Jefferson Buist, having been educated at Dundee Academy (situated at the site in Nethergate where St Andrew's Cathedral now stands), made his overtures towards a career by entering the legal offices of Walter Shaw, writer, Dundee. The business of Shaw, Reid & McLauchlan was carried on at 'Burnhead' (Castlehill - the location now of St Paul's Cathedral). It was also reported that he spent some years in the law office of Messrs Balfour & Meldrum, merchants in Dundee. However, Alexander Jefferson Buist seemed none too enamoured of a life in legal circles. He embarked on a change of direction, into a life which was to be long-standing, within the flax industry. Under the tutelage of 'Bell & Balfour' (both of whom became Provosts of Dundee), he gained a thorough knowledge of flax preparation. In 1840, a young man of 22 years, Alexander Jefferson Buist joined his older brother James who had become the proprietor of Ward Mills, purchased from the estate of John Halley - that 'spinning mill and other properties at back of Wards, acquired by me from the trustees of John Halley, flax spinner.' James and Alexander co-partnered the operation of Ward Mills until James' death in 1844. James stipulated in his will a range of options which would enable his brother (should he wish) to continue the business he had begun. At that time (1844), James' will also listed the assets within the mill and its buildings, giving a comprehensive impression of the works. By all accounts, the mill consisted of a small, 4 1/2 storey, wooden floored mill which contained: Card Room (1st floor), 1st Spinning Room (2nd floor), 2nd Spinning Room (3rd floor), Flax Preparing (4th floor), together with a Turning Shop, Warehouses, Heckling Shop and a Counting Room. They also operated an office in the Cowgate. 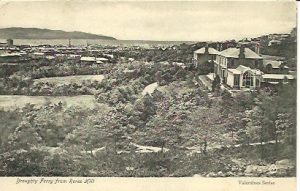 From 1844 till the mid 1860s, Alexander Jefferson Buist was the sole operator of Ward Mills. By 1864, the going concern that was Ward Mill, operated 2 engines of 55 hp, driving 2500 spindles and employed 240 hands. 1865 was to herald a major expansion in Alexander Jefferson Buist's flaxspinning concern in the amalgamation of Buist & Co. with brothers William and John Don & Co., to form Don Bros., Buist & Co., Flax & Jute Spinners, Dundee. 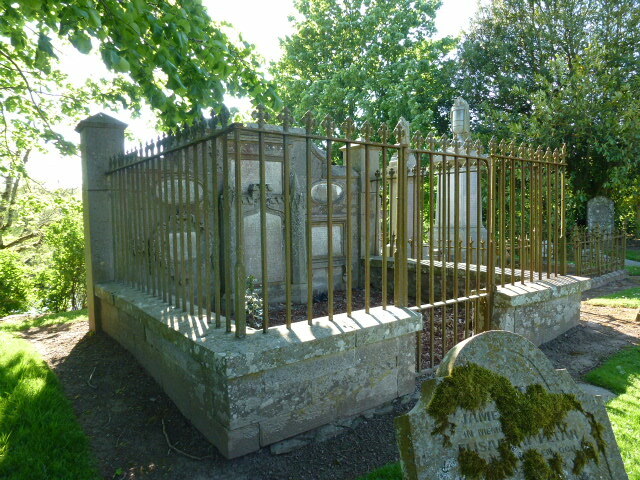 A son of the manse, Alexander Jefferson Buist was the eighth of nine children born to the Reverend John Buist and his wife Margaret Jafferson. Note: Alexander’s middle name Jafferson was more regularly written as Jefferson in later documents. 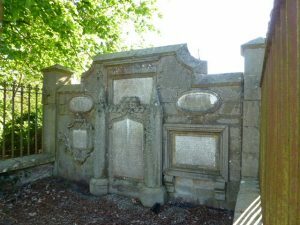 Reverend Buist, the son of a farmer from Abdie in Fife, minister of Tannadice parish for 49 years, was also a landowner and private money lender. 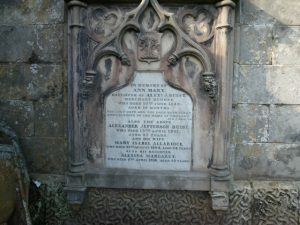 According to ‘Warden,’ Reverend Buist ‘superintended the education of his family’ and his eldest son George was sent, at an early age, to the Universities of St Andrews and Edinburgh. George Buist and his younger brothers James and Alexander all were successful in their chosen fields (their other two brothers having died at 9 and 14 years). George in particular would appear to have been multi-talented. Having gained the degree of LL.D, he was licensed to preach in 1826. However George chose to become involved with the Press and to that end, he procured an appointment as editor of the Dundee Courier (under his tenure the newspaper was titled the ‘Courier and Constitutional’). There followed a succession of posts with local papers in Perth and Cupar in Fife. He was also an authority on geological matters having published papers on the subject, His involvement in matters literary, scientific and philanthropic continued unabated throughout his life. In 1839, he became the successful candidate to conduct the management of the ‘Bombay Times.’ The Bombay Times became a highly successful journal, exercising a very wide influence both in India and on this country. George Buist remained resident in India until his death in 1860. What of Alexander’s elder brother James? At the relatively young age of 24 years James had already established himself as a flax merchant in Dundee, operating from No 15 St Andrew’s Street. He continued conducting his business from that location up to 1838 while his home was listed in Union Street. On purchasing one of Dundee’s earliest steam-powered spinning mills, James was joined by his younger brother Alexander in the flaxspinning industry at Ward Mill. James had been fortunate in receiving funds from his father and also from his aunt which must have, in no small part, assisted in its purchase. His father declared that James ‘had received £600 and further a security for £1000 more’ together with £500 at the death of his aunt in 1833 – a tidy sum from which to grow a business. 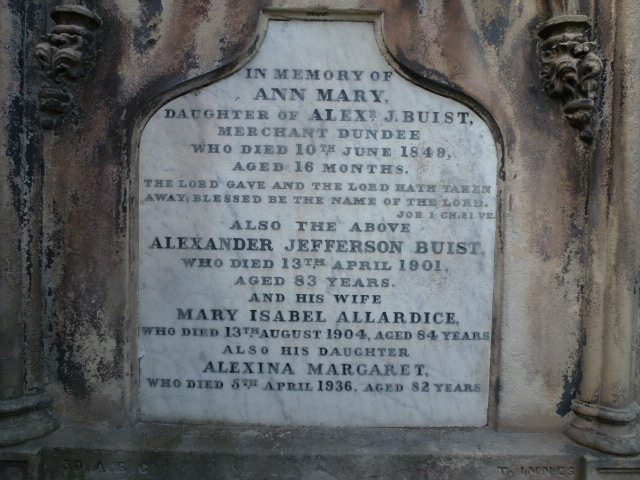 Alexander Buist, in partnership with his older brother John operated Ward Mills until James’ death in 1844. Over the following 20 years, Alexander Jefferson Buist was the sole proprietor/operator of the mill and carried on in business under his own name. He gained a reputation for his attention to business and a devotion to duty. His skills as a spinner and manufacturer became well recognised. 1865 saw the amalgamation of the business of Alexander Jefferson Buist, a Dundee based merchant and flax spinner, with that of the brothers William and John Don of Forfar to form Don Brothers, Buist & Co. It has been recorded that business links between the two families were traced back to the 1820s. What followed with the formation of this new company was a symbiotic association which was to prove enduring for decades to come. The development of this company is recorded in ‘Onwards from Osnaburgs’ (Whatley, Christopher A.). 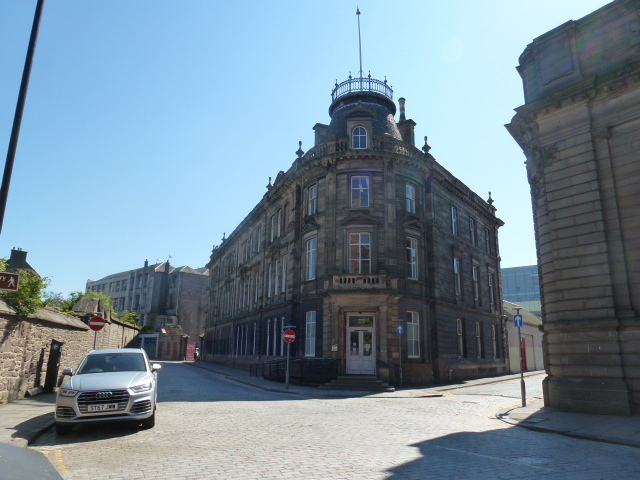 Alexander Jefferson Buist retired from the firm of Don Bros., Buist & Co., Flax and Jute Spinners, in 1892, after a long career in Dundee’s staple trade. He continued to engage in activities for the benefit of others. A strong adherent of the Temperance movement and a leading member of the YMCA in Broughty Ferry, Alexander Jefferson Buist promoted their causes. As one of the first mill owners to supply a creche and school for the children of his mill workers, he was also an advocate for the shortening of hours in factories. His retiral was marked in the giving, by his employees, of an elaborate, illustrated scroll. His funeral too was marked, in the showing of respect, by the suspension of work for the duration of the funeral. Female workers attended his funeral, being seated in the gallery. As an employer, Alexander Jefferson Buist was recognised, by managers and workers alike, to have expressed an interest in the wellbeing of those in his charge – a gentleman worthy of plaudits. Warden, Alexander J. (1864) The Linen Trade, Ancient and Modern. p.656. London: Longman. The information above about Alexander Jafferson Buist has been collated from a range of digital and hard copy sources. To the best of our knowledge it is correct but if you are relying on any information from our website for the purpose of your own research we would advise you to follow up the sources to your own satisfaction. If you are aware of an inaccuracy in our text please do not hesitate to notify us through our Contact page.